This is a High quality audio upgrade 15 Volt Linear power supply. Silver colour supplied for the Silver DAC, we can supply gold if you prefer. This model outputs 15 volts DC or 16 Volts DC which is selected by a switch on the side of the unit. Maximum output current 2.5 Amps at 15V or 1.85 amps at 16V DC. Perfect for hundreds of devices, see the compatibility list in the download section at the end of this page for a full list. 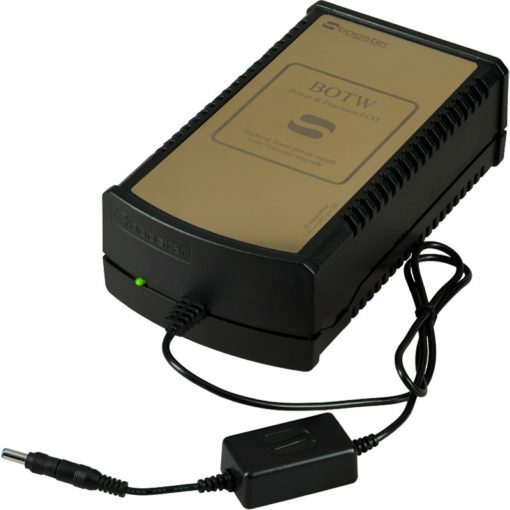 The “Best of Two Worlds Power & Precision ECO” audio upgrade power supply (BOTW P&P ECO) is the successor of the previous model “Best of Two Worlds Solutions” audio upgrade (BOTWS). This new upgrade product combines power, precision, efficiency and provides high current with extremely low noise levels. 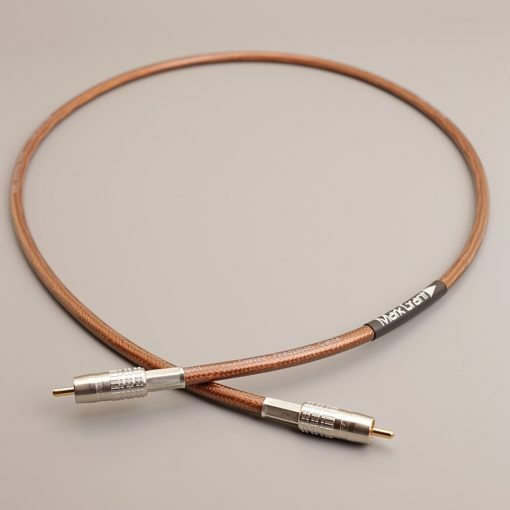 The BOTW P&P ECO is the perfect choice for every audiophile. With the BOTW P&P ECO power supply the purification of the power starts immediately where the mains power enters the power supply. A dual stage mains filter and an earth line choke clean the incoming mains power from high frequency noise pollution before the current reaches the transformer. The transformer is a custom made audio grade transformer with high quality electrostatic shielding. The BOTW P&P ECO audio upgrade concept is so efficient that it consumes only slightly more electricity a year more than the standard factory supplied switch mode power supply. The voltage regulator inside the power supply is a very new and energy efficient design which contributes to the extremely low power consumption and extremely low noise levels on the DC output. It really is something special. Finally at the end of the DC cable the unique split current filter system has been placed. The electronic design and components used in this SBooster version differ from the design of the SBooster Single Unit that is available seperately. 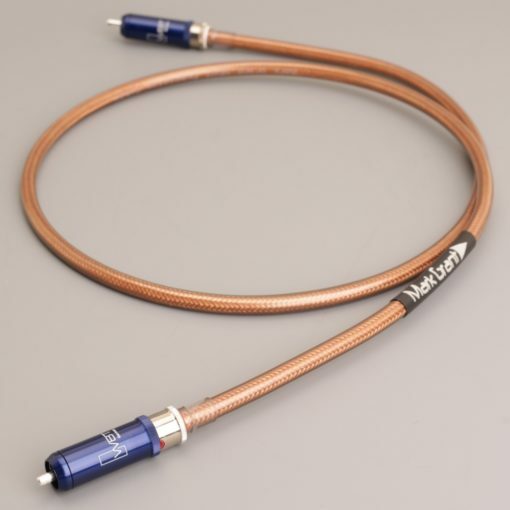 The power supply of the BOTW P&P ECO audio upgrade provides the split current filter system with clean power so the electronics in the filter can buffer the power so that the power supply becomes very ‘fast’ and filters the voltage and current before they enter the audio device one last time. 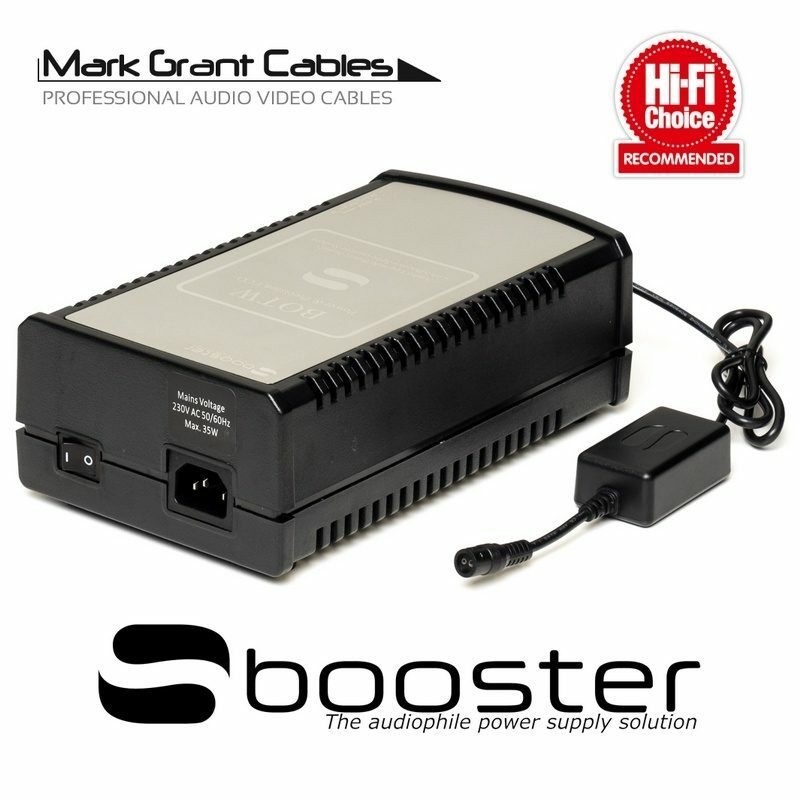 This unique power supply with its large headroom delivers sufficient clean power to the audio device to ensure a stable and continuous high quality performance. 2 characteristics in 1 product. Power for high current demanding equipment. Precision for noise sensitive equipment. Two switch selectable output voltages; 15 volt and 16 volt. Accessory setting which provides extra voltage for the optional Sbooster Ultra. IEC 14 power inlet connector for high-end mains cables. High performance dual stage mains filter. Custom made high efficient audio grade transformer. High quality polypropylene film capacitors. 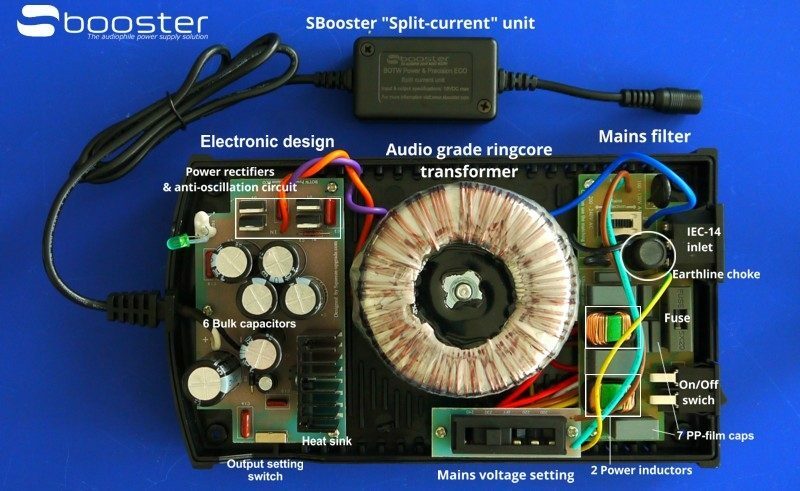 Improved low noise SBooster split current system. The BOTW P&P ECO is available in 11 different output voltages. By clever design these 11 output voltages are provided by 6 different models. Every model – except for the 24V model – has two voltage output settings and one accessory setting that is used with the optional Sbooster Ultra. Also every BOTW P&P ECO is equipped with a self-locking interchangeable DC-tip system. Many different sized power tips are included in the box to fit a wide range of devices. If you change your device you can reuse this power supply with your new device as long as the voltage is the same and current less than the maximum. This combination of the multi voltage settings and self-locking interchangeable DC-tip system makes the BOTW P&P ECO the most versatile audio upgrade linear power supply ever. 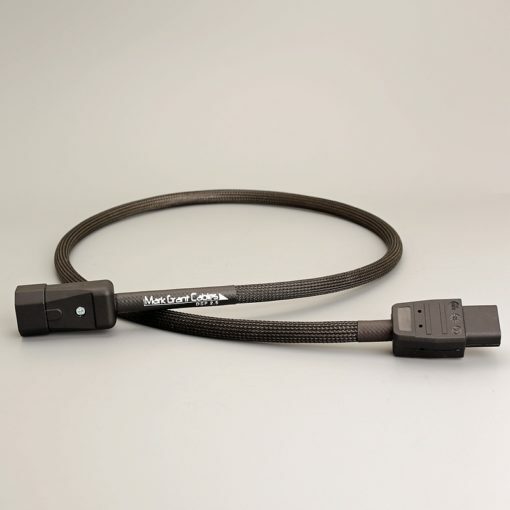 Includes a standard UK power lead for UK customers and suitable lead for overseas customers.